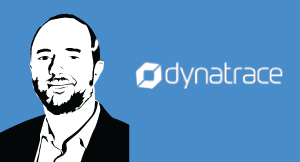 Thank you to Dynatrace for underwriting CXOTALK. Digital experience should lead to higher satisfaction and engagement among customers. However, getting there requires a process, going through certain stages of maturity as a digital business. Our goal should be to move from a position of reacting to customer events to being proactive and ensuring positive customer experiences in the first place. As someone who’s dealing with digital disruption, you no doubt know that there are many challenges. Challenges to managing the digital experience, changing the way in which your customers interact with you. When we look at this, we often think about it in terms of what does digital experience mean. And to me, digital experience is really about bringing customer experience to life. And what does that mean? Well, customer experience together with your brand, together with the way that you do business, all of those in a digital or online world constitute digital experience. Many organizations that I speak to have had the same experience find that there’s an evolution that you follow. That evolution means that you could be going through different stages of maturity regarding how you engage within this environment with constant digital disruption. From my experience with our customers, there’s a progression that goes from being fairly tactical having a more integrated approach to digital assets, and then being proactive to optimize the digital environment and thus to deliver a far better digital experience. And ultimately the end goal is to drive engagement to the customer base. Many organizations when they look at digital experience get very caught up on the technical components of responding when customers have a problem. And that dimension, that reactive dimension, is certainly important, because we all want to be able to respond quickly when a customer does have an issue. And sometimes you’ll hear people talk about mean-time-to-repair or any number of things along those lines which sound very technical. But we also want to make sure to be proactive. Wouldn’t you rather want to be able to identify a problem before a customer experiences that problem? Wouldn’t you want to be able to improve the customer experience proactively so that they have a better experience the next time they use your digital property? Wouldn’t you want to be able to make better decisions in terms of being able to invest your performance galas for example in optimizing the right part of a customer journey or a customer experience. All of these are important considerations as you move along that continuum of digital experience maturity, being able to deliver a high level of engagement to your customer base. Of course, the outcomes become evident in business results. That better engagement leads to better conversions. It means an increase in subscribers and leads to overall improved customer satisfaction. We can hardly overstate the importance of digital experience in creating customer relationships and brand loyalty, so creating a customer-centric culture is essential. 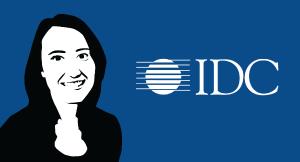 Here are some key insights from the IDC EXPERIENCES Survey 2015 on the notion of "experience" and what that means for software providers and companies. Giorgos Zacharia Leading the global KAYAK Technology and Product team. 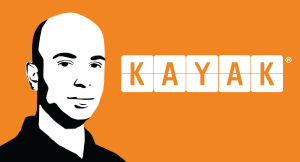 Overseeing the company's global technology strategy and product development for KAYAK's websites and mobile applications. Responsible for all aspects of Product Management, UI Design, Technology, Engineering, and Data Science.